Salon Quality Hair at the convenience of Home! Styling you hair will be easier and quicker with the Bronson Professional Ceramic Brush Hair Straightener. 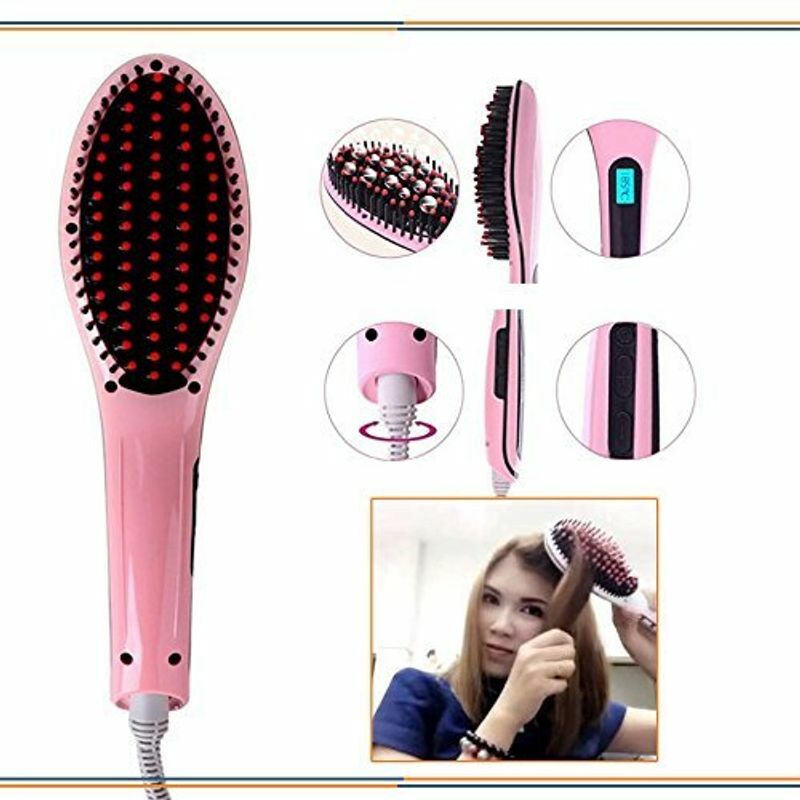 This styling tool is a trendy hairbrush that heats up fast, glides through your hair leaving you with smooth, shiny and salon straight hair in just a few seconds. It heats up to 230 degree (Color May Vary).